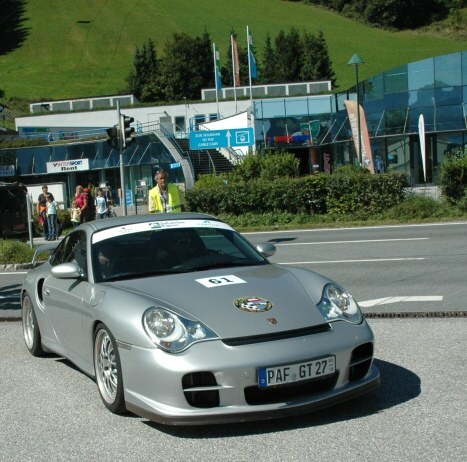 Note to participants: Please contact me if you would like to have copies of photos of your vehicle in high resolution at no charge- the selection is wider than here shown so even if your Porsche is not on the pages, I probably have a photo of it. 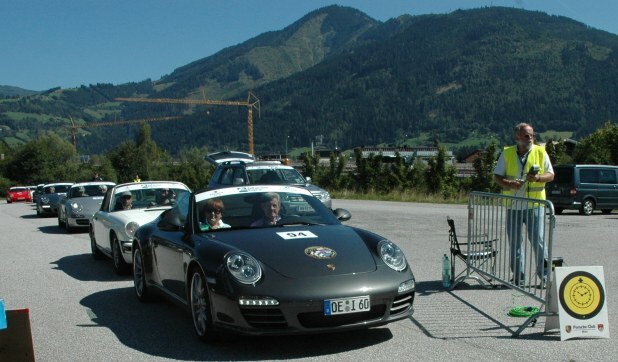 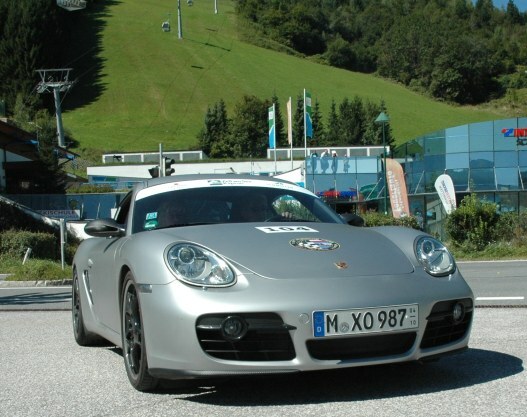 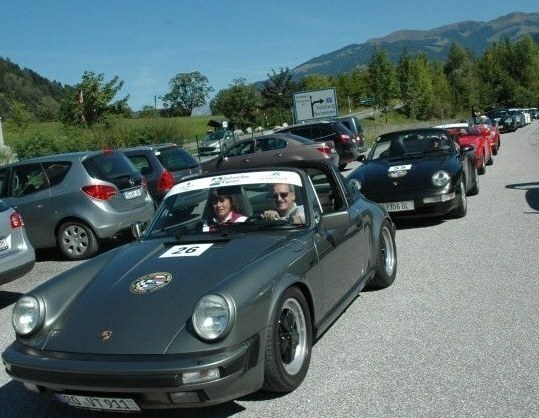 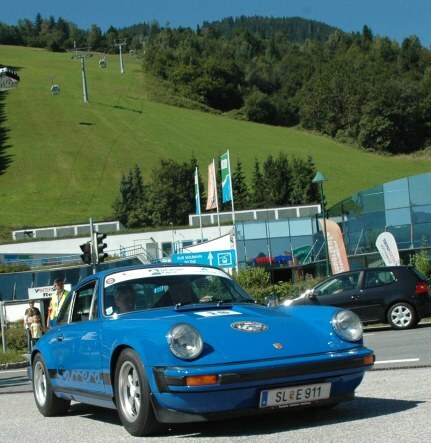 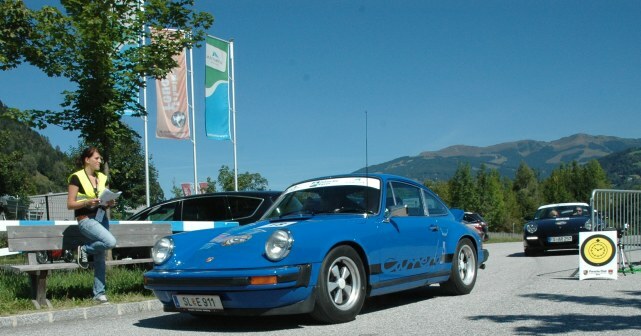 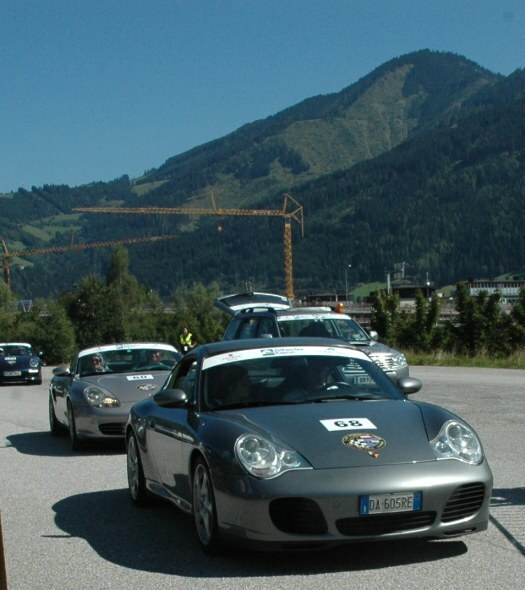 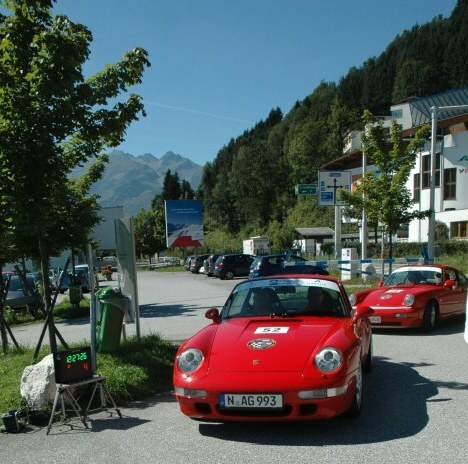 The 2012 celebration of 60 years of Porsche Car Clubs held in Zell am See included Porsche Time Trials and the photos make a fine gallery of Porsche models across the decades. 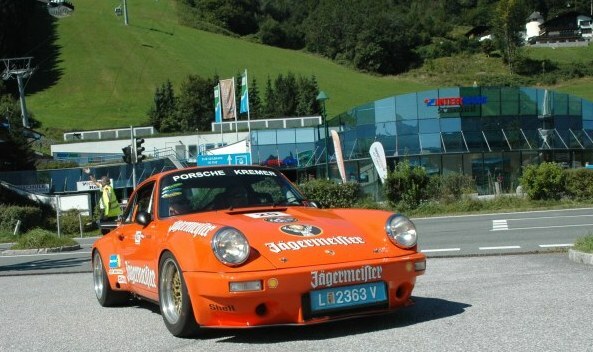 The Porsches speak for themselves in imagery and therefore need no further commentary. 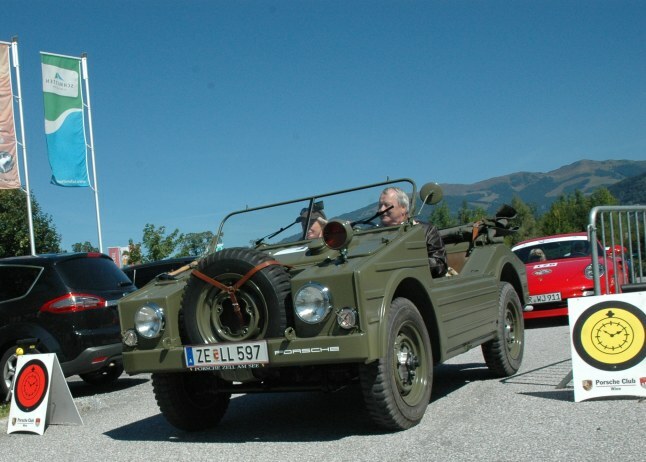 The cars were numbered according to date of the model and the earliest of these was the Jagdwagen, which arrived late from the previous leg and so started on this leg out of correct order. 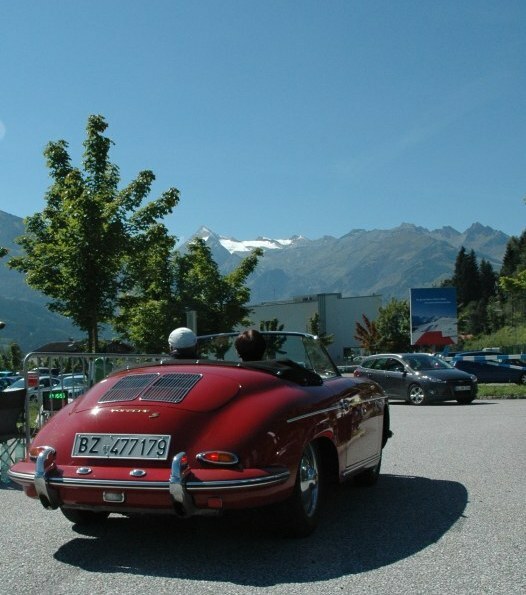 Beacuse of that, this gallery begins instead with the classic Porsche 356, whose lineage and design established the brand 'Porsche' as a 'Marque' and which has contributed a sound basis for all subsequent Porsche models. 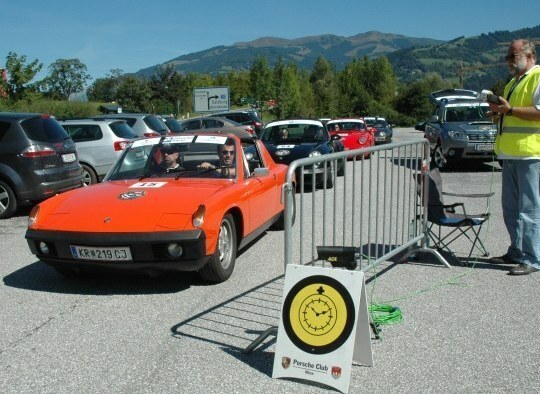 A classic car time trial is a sequential departure of beauty - and requires litte further commentary on the gallery of photos of these trail starting points. 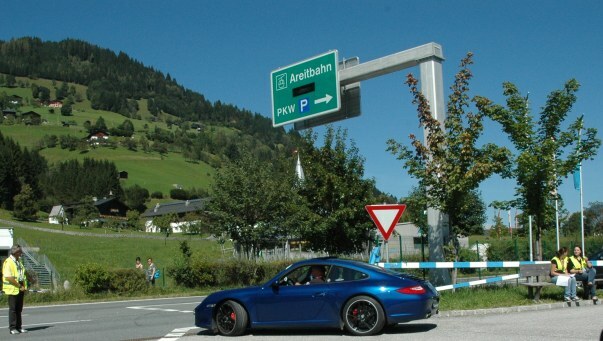 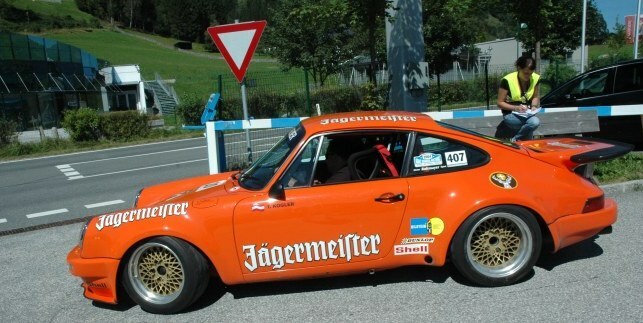 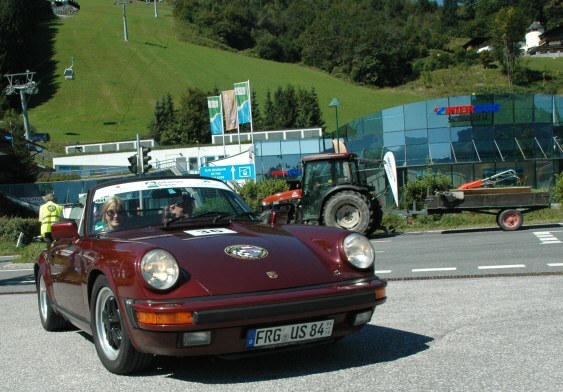 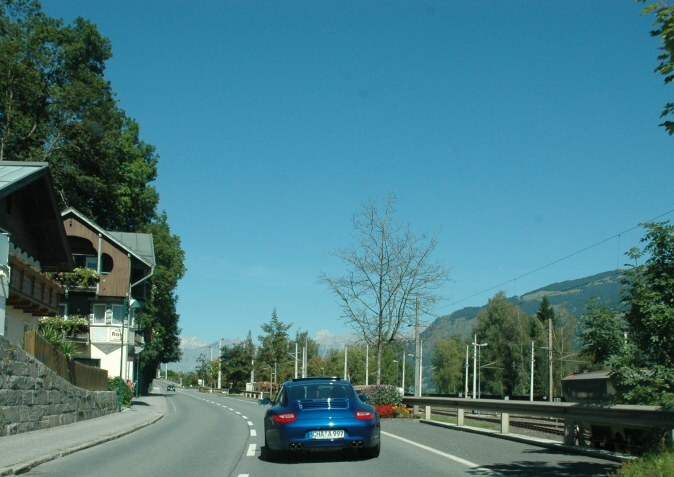 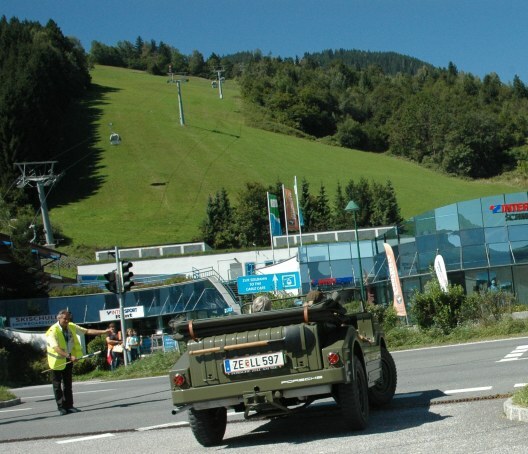 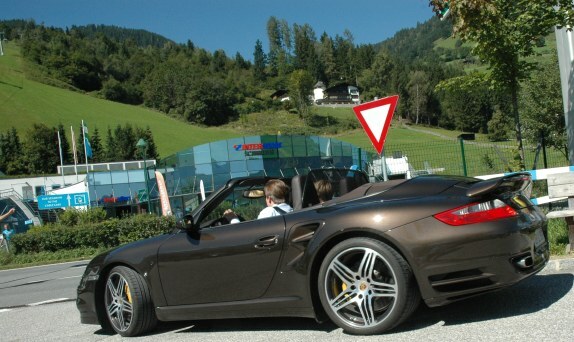 Until, eventually, the original Porsche vehicle, the Jagdwagen was slipped between his later cousins so he could take his place at the finally assembly in the town of Zell am See.